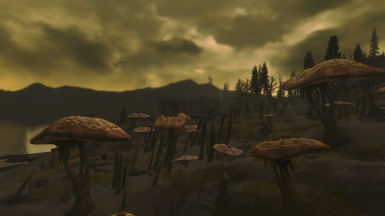 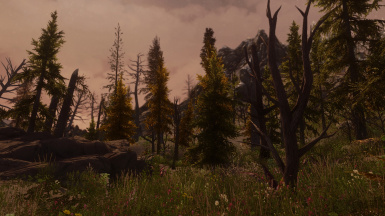 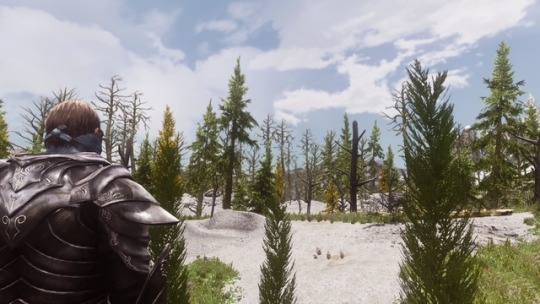 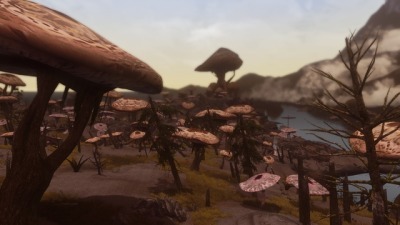 A Landscape overhaul for Solstheim featuring over 100 new types of flora, a mushroom forest, ash desert, and more forested areas. 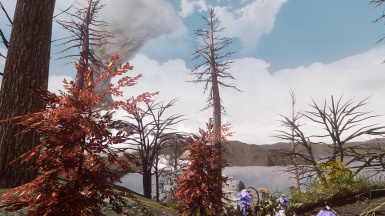 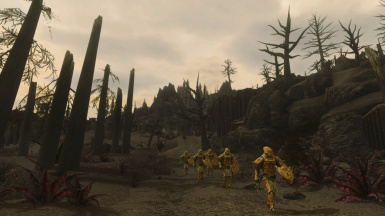 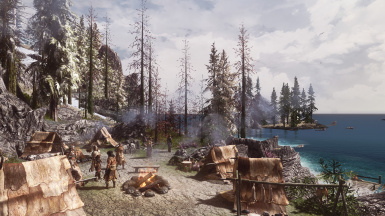 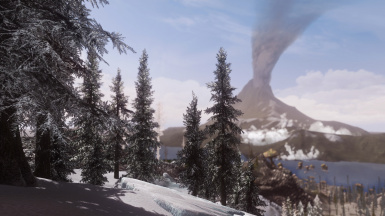 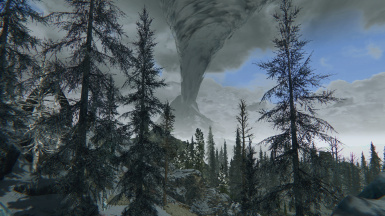 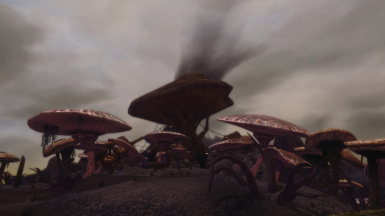 - there is now a giant ash desert with more ash dunes, blowing ash, and no living trees from Attius Farm to Fort Frostmoth. 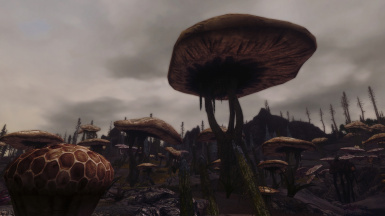 - The southern part of the island now has smaller flora native to Morrowind. 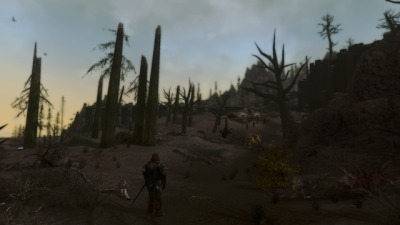 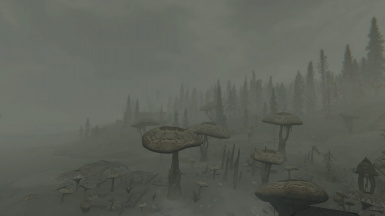 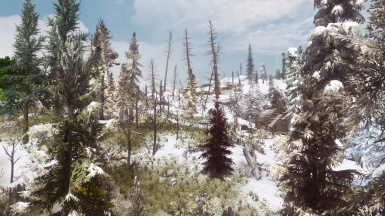 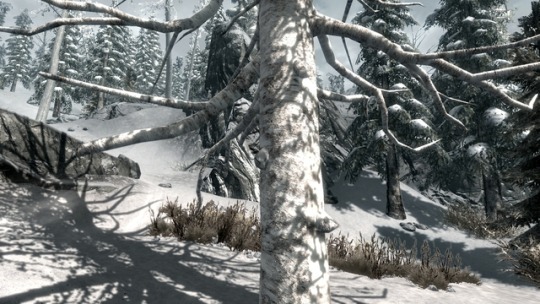 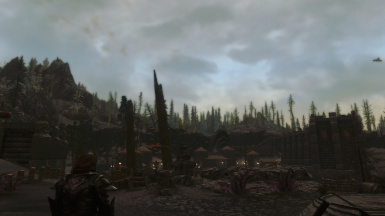 - Middle Solstheim has more trees, both living, ash covered, and dead. 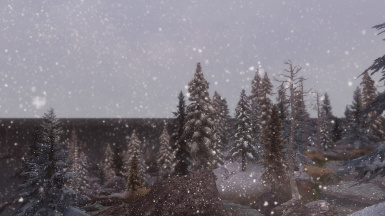 - Over 200 pines, dead snowy pines, and living snowy pines have been added to the northern half of the island, returning the northern forests to their glory days of Bloodmoon. 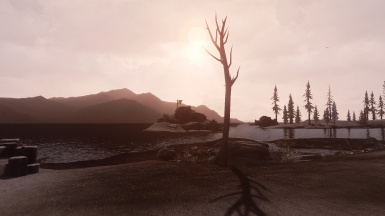 All mods that retexture landscape, ash, and objects. 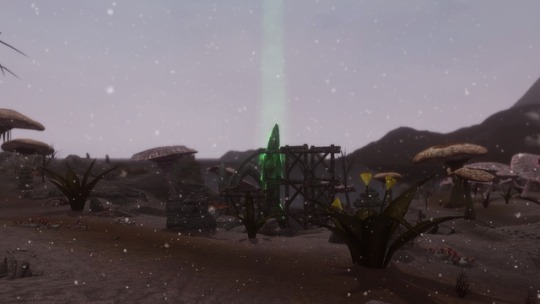 If there is any clipping, just use the console and delete. 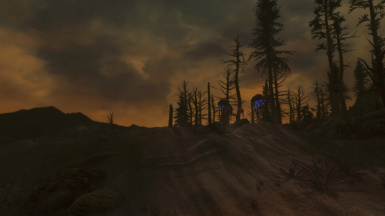 Install only one Main File!! 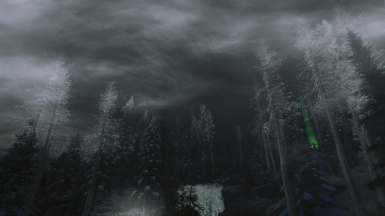 The DFOS Versions Require Dark Forests of Skyrim SE.